May 2016 - Patent my French! It is not always easy to be in the patentee’s shoes – as today’s decision will confirm again. In fact, patent proprietors and alleged infringers are not on a equal footing, since the latter need only prevail on one defense, while the former must thwart all possible challenges in order to win the case. And this is all the more difficult when the patent gets off on the wrong foot at the examination stage. As readers may have guessed based on the lexical field of the first paragraph of this post, today’s decision is concerned with the footwear industry. French company Exten.S owns European patent No. EP 1383402 directed to a sole for a shoe. Together with its exclusive licensee Eram (a well-known shoe distributor), Exten.S sued a Spanish company called Calzados Hergar for infringement of the patent in France. On November 25, 2008, the Paris Tribunal de grande instance (TGI) revoked claims 1 to 4 of the French part of the European patent – as requested in the defendant’s counterclaim. The judgment was confirmed by the Cour d’appel on October 27, 2010. An appeal on a point a law was submitted to the Cour de cassation, and on January 31, 2012 the court set aside the appeal judgment. The patentee waited almost two years before reinstating the case in front of the Cour d’appel, which finally leads us to the judgment discussed today, which is dated April 8, 2016. The TGI originally revoked claims 1 to 4 due to extension of subject-matter. The Cour d’appel fully agreed in 2010. The Cour d’appel still fully agreed in 2016. Let’s now examine why the subject-matter of the patent was found to have been extended in an unallowable manner relative to the contents of the application as filed. 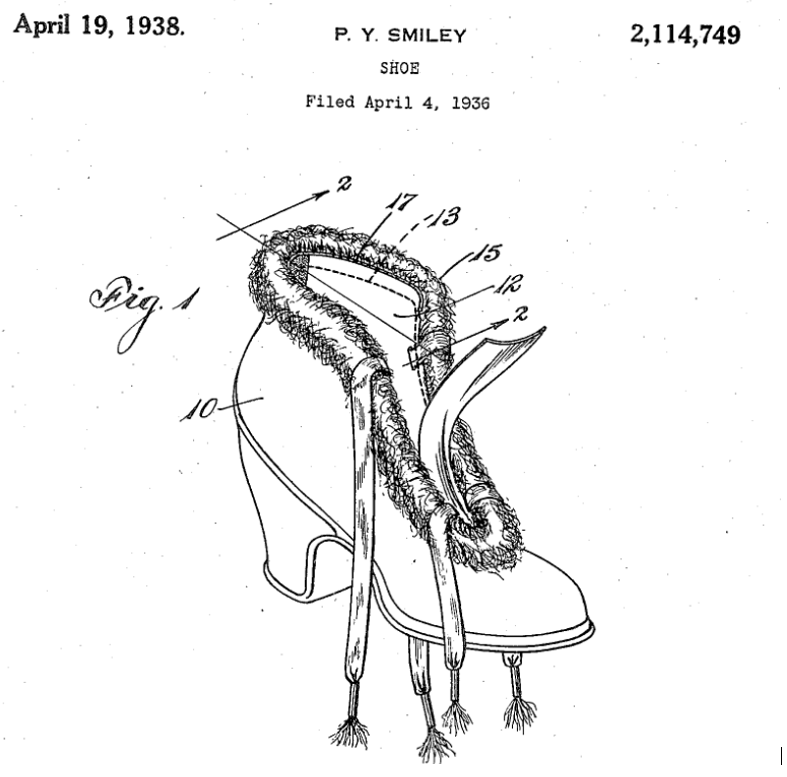 According to the introduction of the patent, the invention relates to a sole of a shoe making it possible for different foot widths to be fitted easily. Usually shoes are manufactured with a width chosen by the manufacturer, which does not vary as a function of the width of the wearer’s foot. It is also known how to adapt to several foot widths by manufacturing an upper part in elastic material, but without being able to enlarge the lower part in contact with the sole. The purpose of the invention was to remedy these disadvantages. 1. Extensible sole for shoes of the type where the rigid sole base is glued onto the edges of the upper, characterized in that said base is glued or molded on an insert, which is transversally mounted in an extensible manner, between the gluing zones of said base and said upper. 2. Extensible shoe according to claim 1, characterized in that it comprises at least one insert provided with protrusions in its lower surface, produced by molding a shape memory extensible material glued or injection welded on a rigid sole base, the forepart of which is provided with openings wherein protrusions are embedded, in a sealed way. One half shoe, one quarter fur coat and one quarter Peruvian hat make a great invention. 1. Extensible sole for shoes of the type where the rigid sole base is glued onto the edges of the upper, characterized in that said base comprises an insert, transversally extensible and provided with one or several protrusions in its lower surface, said insert being produced by molding a shape memory material and being glued or injection welded on said base, the forepart of said base being provided with one or several openings, wherein the protrusion or protrusions are embedded, in a sealed way. In the description of the PCT application […] it is recited, in relation with the base of the sole, “openings” (p.1 l.25), “the openings” (p.2 l.29 and 36 and p.3 l.1) and “openings” in claim 2. […] Claim 2 […] teaches the presence of openings in which the protrusions are embedded in a sealed way. Figures 1, 3 and 4 of this PCT application show several openings (reference 4), actually five, on the base of the sole, which match the number of protrusions. […] Although according to p.1 l.24 to p.2 l.1, “the deformable part of the forepart can be obtained by producing one or several longitudinal openings”, this passage relates to “other embodiments”, which is not challenged. Therefore, neither the description nor the claims or drawings of the PCT application mention the presence of a single opening in the base of the sole. It would probably have been useful to explain in the reasons for the decision why the context of this sentence was different from the context of granted claim 1, so that no generalization to one or several openings could be allowed – beyond the note on the wording “other embodiments” which can mean several things. When briefly reviewing the PCT application, it did not immediately strike me why there should be an incompatibility between the option of the single opening and the other features of claim 1 as granted. But a more thorough review could lead to a different conclusion. The appellants cannot claim that, since the protrusions cooperate with the openings, a single opening in the forepart of the base of the sole is implicitly disclosed, in view of a single passage of the description of the PCT application (p.1 l.19) per which “this extensible insert is flat on the upper face and provided with one or several protrusions on the lower face. These protrusions are intended to be set countersunk in the base of the sole”. Indeed, as already stated, the PCT application only discloses the presence of several openings and anyway the respondent rightly notes that the presence of a single protrusion in the insert does not necessarily imply the presence of a single opening in the base of the sole. This is tough, but very much in line with the criterion of direct and unambiguous disclosure applied at the EPO. If one protrusion does not necessarily equate with one opening, then there is insufficient support in the original PCT application for claim 1 as granted. Even though it might be obvious for the skilled person to come up with the idea of “one opening“, obviousness or equivalents should not come into play in this analysis. It should additionally be noted that, according to claim 1 of the PCT application, the base of the sole is glued or molded on an insert, but this feature cannot be found in claim 1 of the patent in suit as granted […] according to which, to the contrary, “said insert […] is glued or injection welded on said base” and the insert “is […] mounted between the gluing zones of said base and said upper”. Basically this is a case of impermissible deletion of an essential feature. But it is stated in a confusing way in the ruling. My two cents is that the deletion of the term “glued or molded” is not really objectionable as claim 1 still requires that the insert be glued or injection welded on the base. And in fact this wording is from original claim 2 and thus seems to correspond to a particular embodiment of the “glued or molded” general statement in original claim 1. On the other hand, there may indeed be an issue because the feature “mounted between the gluing zones of said base and said upper” no longer appears in claim 1 as granted – although, again, the ruling is not crystal clear in this respect. All in all, the present decision, which fully confirms two previous similar decisions on the same patent, comes as a further reminder (if needed) that French courts tend to be very strict nowadays in their appraisal of extension of subject-matter: see other examples here, here and there. The EPO has had the reputation of being the toughest forum for the appraisal of added matter, but there now seems to be some competition in France. CASE REFERENCE: Cour d’appel de Paris, pôle 5, chambre 2, April 8, 2016, Exten.S & Eram v. Calzados Hergar, RG. No. 14/00580. The U.S. used to have submarine patents staying under water as pending applications for many years without getting published and suddenly emerging upon grant and awarding 17 years of protection to their owners. 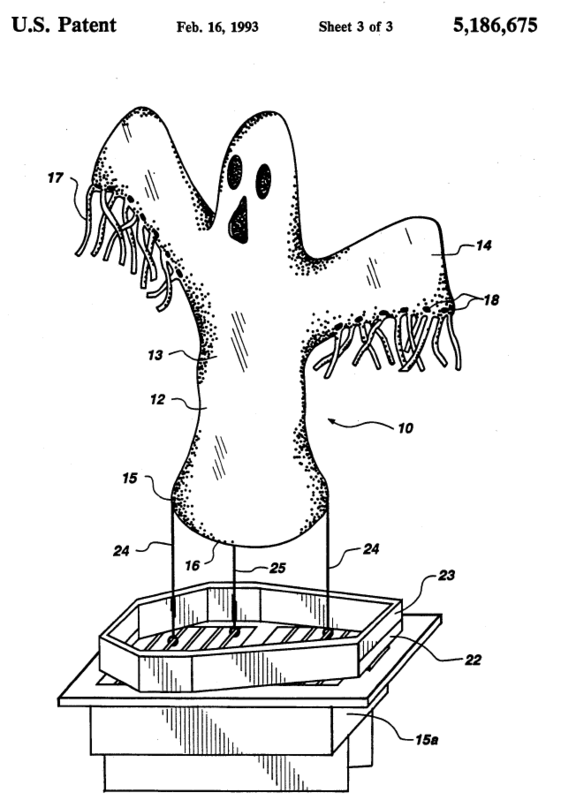 We in France have had a similarly exotic and frightening species of IP rights, that one could call zombie patents: patents that have apparently been dead for years but that are in fact quietly waiting in their graves for an awakening – which can be triggered e.g. by a decision from the highest court in the country. European patent No. EP 0984773 to Astrazeneca AB, directed to a pharmaceutical formulation of omeprazole, was such a zombie patent. The patent was filed in 1998 and granted in 2003, and the French translation of the granted patent was duly filed at the Institut National de la Propriété Industrielle (INPI) as was required in those pre-London days. Unfortunately, the sixth renewal fee which was due in 2003 was not paid in due time – nor within the 6-month grace period. As a result, a formal decision of lapse was issued by the INPI on January 30, 2004 and a mention of this decision was published in the official bulletin (Bulletin Officiel de la Propriété Industrielle or BOPI) on February 27, 2004. Several pharmaceutical companies apparently relied on this lapse and started marketing generic drugs, such as Ethypharm, which launched its formulation in April 2004. Five years went by, until one day in April 2009 Astrazeneca filed a request for restoration of right at the INPI. One would think that the request would be expediently dealt with but, as is often the case, one would be wrong. It took the INPI four years to issue its decision on the case, which was… positive. 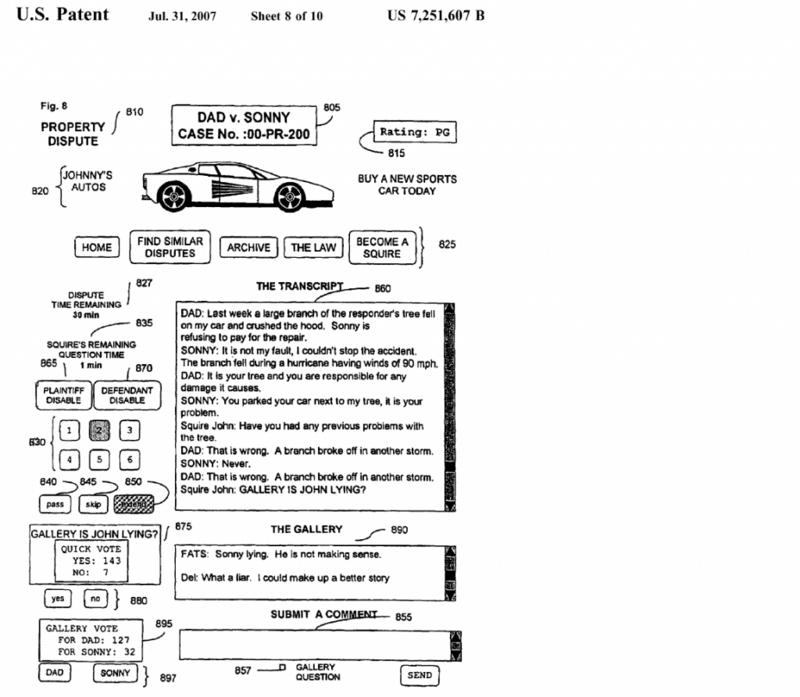 And therefore, in 2013, the patent woke up from the dead. Obviously Ethypharm was not too happy about this turn of events and filed an appeal against the decision. The Cour d’appel de Paris had sympathy for the generic manufacturer’s case and canceled the decision from the INPI in a judgment dated January 15, 2014 – a swifter process than the proceedings in front of the INPI. Quite predictably, Astrazeneca filed an appeal on points of law with the Cour de cassation, which brings us to the ruling issued on April 12, 2016, in which the highest court set aside the judgment of the Cour d’appel and therefore reinstated the 2013 INPI decision – and thus revived the patent for the two additional years that are left until it expires. How can a patent possibly be reinstated by a request for restoration of right filed five years after the loss of right occurred? the famous pravastatin case law. Let’s first look at the old pre-2008 statute. At that time, the restoration of right further to a lapse due to non-payment of a renewal fee was handled differently from a restoration of right further to non-compliance with another type of time limit. The patent proprietor can file a request for restoration of right within three months from the notification of the decision [of lapse] if it had a legitimate excuse for not paying the renewal fee. In the omeprazole case, the decision of lapse having been issued in January 2004, the three month-deadline should have been long expired by the time the request for restoration was filed, and also by the time the law changed in 2008, right? Well, no, and this is because of the pravastatin case law. It was decided in this famous case (which involved a zombie SPC) that when a decision of lapse is notified to the wrong recipient (i.e. to a recipient who was not entitled to receive the decision), the time limit of article L. 613-22 does not start. Since it does not start, it cannot expire. […] The director of the INPI states that the notification was made to Mrs Caroline C, who is not an employee of Astrazeneca AB, nor a patent attorney, nor an attorney at law, nor a representative registered with the INPI, and therefore this notification was not made to a person who would be entitled due to the annuity provider, RWS group. Thus, this illegal notification did not trigger the three-month time limit for the restoration, and the request filed by Astrazeneca AB was not outside the time limit. OK. But what about the change of law which took place in 2008? How does this come into play? By way of an executive order dated December 13, 2008, the statute was amended in such a way that paragraph 2 of article L.613-22 CPI was canceled. As a result, the system of restoration of right further to a lapse was aligned with the normal system of restoration of right further to non-compliance with other types of deadlines. The applicant who does not comply with a time limit set by the [INPI] may file a request for restoration of right if they have a legitimate excuse and if the failure to comply with the time limit directly results in the refusal of the patent application or of a request, in the lapse of the application or the patent or in the loss of any other right. The request must be filed with the director of the [INPI] within a deadline of two months from the removal of the cause of non-compliance. The omitted act shall be accomplished within this deadline. The request is only admissible within a deadline of one year from the expiry of the unobserved time limit. When the request relates to a failure of payment of a renewal fee, the unobserved time limit is the end of the grace period […]. So, in the new system, the deadline of three months from the notification of the decision of lapse has been replaced by the usual double deadline: two months from the removal of the cause of non-compliance and one year from the expiry of the unobserved time limit. Since this second deadline is an absolute time bar and is independent from any actions taken or not taken by the patent proprietor and the patent office, it seems that there can no longer be zombie patents in this new system. If this provision had been in place before, Astrazeneca would have been barred from filing a request for restoration of right on the first of December, 2004 (one year after the six-month grace period following the due date for the sixth renewal fee, on the first of June, 2003). The illustrated device is useful for store clerks: it displays the minimum birth date for an individual who is entitled to purchase alcohol or tobacco. 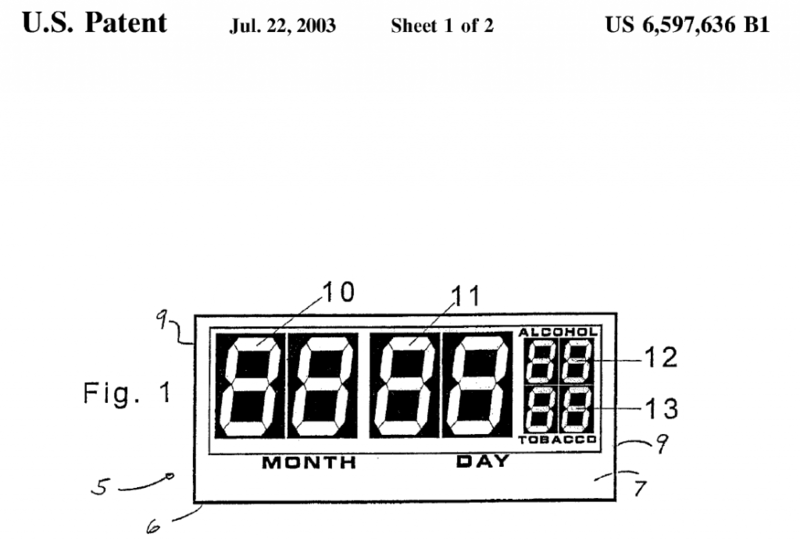 I suggest a variant for patent office clerks displaying the maximum date of lapse of a patent for a patentee who is entitled to restoration of right. […] in order to set aside the decision [to restore the patent], the judgment [by the Cour d’appel] stated that the executive order […] entered into force on December 2008 and deleted the second paragraph of article L.613-22 CPI so as to replace it with article L.612-16; and that this was a procedural law and thus was immediately applicable; that Astrazeneca was subjected, in order to benefit from a restoration of right, to the time limit of two months from the removal of the cause of non-compliance in the new provision; that the publication in the BOPI of the decision [of lapse] removed the circumstance which had prevented Astrazeneca to pay the sixth renewal fee when the new article L.612-16 came into force, so that the request filed on April 6, 2009 was late and inadmissible. So, in summary, for the Cour d’appel, the time limit of two months came into force with the new law, and since the cause of non-compliance had long been removed, this deadline started on the day the new provision came into force, and was expired by the time Astrazeneca filed its request – so that the restoration could not be granted. On appeal in front of the Cour de cassation, Astrazeneca criticized the computation of the two-month deadline. They said that a law cannot have a retroactive effect, and that the judgment by the Cour d’appel amounted to such a retroactive effect because the publication of the mention of the decision of lapse in the Bulletin in 2004 retroactively acquired a legal effect in 2008. Also, they explained that this publication was not an actual removal of cause of non-compliance. […] the decision of lapse of patent right was open to restoration of right under article L.613-22 [CPI] second paragraph, within a time limit of three months from the notification, and since the notification was illegal, the deadline did not start running, and thus the Cour d’appel violated the law […]. As a side remark, Ethypharm was not the only third party involved in this dispute. Parallel cases involved Actavis, and therefore there are two other judgments by the Cour de cassation of the same date with substantially the same content. All in all, this is a rather spectacular result which does seem to make sense on a legal standpoint. The real aberration is probably the error made by the INPI. Why on earth a decision of lapse was notified to someone else than the representative is puzzling – and I guess there must have been a representative actually appointed since the patent was validated by filing a French translation. Fortunately this kind of fiasco would no longer be possible nowadays – or could it? CASE REFERENCE: Cour de cassation, ch. com., April 12, 2016, Astrazeneca AB v. Ethypharm & Directeur général de l’INPI, pourvoi No. V 14-17.439. Today’s Board of appeal decision was already reported on elsewhere, but it may be worth another commentary, since it relates to a fundamental aspect of patent law, namely the rules of claim interpretation, and more specifically the question of how much one should rely on the description and drawings when interpreting the claims – in particular for the assessment of novelty and inventive step. One could think that such a basic issue should have long been very clearly settled. Well, one could think again. a European patent or a European patent application shall be determined by the claims. Nevertheless, the description and drawings shall be used to interpret the claims“. The official Case Law book (Case Law of the Boards of Appeal of the European Patent Office, 7th edition, section II.A.6) reminds us that a number of decisions referred to Art. 69 as a legal basis for interpreting the claims in the light of the description and drawings. Others pointed out that Art. 69 is concerned with the question of infringement, and is therefore only for courts of law to deal with, and not for departments of the EPO (except when assessing a potential extension of scope of protection after grant – Art.123(3) EPC). in examination and opposition proceedings the value of future legal certainty was paramount. […] There was no case for anything other than a strict definitional approach, given that in this procedural stage the claim could and should be amended to ensure legally certain patentability, in particular novelty and inventive step over any known prior art. Amendment rather than protracted argument should be the answer to genuine difficulties of interpretation in all aspects of the examination and opposition procedure. The strict approach advocated in T 1279/04 does not strike me as being commonly applied. The position that first instance departments are officially supposed to follow (Guidelines for examination, F-IV, 4.2) seems somewhat more flexible. It refers to the description and drawings in the context of “particular cases“, where “the description gives the words a special meaning“. Otherwise, reference is more generally made to the meaning that words “normally have in the relevant art“, and to the necessity of attempting “to make technical sense out of” the claim. And in practice, I feel that most of the time parties as well as the EPO tend to turn first and foremost to the description when interpreting the claims – and not just in particular cases when there is a special definition in the spec. So, back to today’s decision T 1871/09, which sheds another interesting light on claim interpretation in view of the description. The Board provided extensive general remarks on claim interpretation, and then applied their approach to the case at hand, where several terms raised interpretation issues. The Board was confronted with diverging argumentations from the parties regarding the meaning that the claims should have, and in particular some concepts that they refer to. The Board endeavored to look at the specification of the patent taken as a whole for the meaning that the skilled person would give to them. The Board applied a general principle of interpretation, of which Article 69 EPC is only an illustration, per which a part of a document cannot be interpreted independently from its context, and to the contrary the entirety of the document should be taken into consideration, when looking for the meaning of a certain statement which is made. […] Therefore, even if the provisions of Article 69 EPC on the scope of protection do not […] apply to departments ruling on opposition cases, the principle set out in this article is nevertheless applicable (reasons 3.1 – this passage and the following ones were freely translated from the French original version). This makes sense and is a nice way to justify what most people would intuitively think is right – even if not explicitly enshrined in the Convention – i.e. : do not read the claims in isolation without considering the rest of the patent. In the next paragraph, the Board recalled that the reader is the skilled person, and that he/she is the one supposed to interpret the claims. This is a very classical statement. The interpretation principle recalled here applies to all, that is not only the opponents but also the patent proprietor, and third parties as well. The patent proprietor cannot possibly attribute a meaning to the terms that are used or to the features recited in a claim which the general context does not really make it possible to establish. It is thus not justified in this respect to rely on one passage of the description instead of another, so as to give a particular color to some terms that are used (reasons, 3.3). So, patentees have to deal with their description as a whole. They cannot rely on just one paragraph which may support their preferred interpretation, without looking at other paragraphs which provide a different view. That said, the specificity of a patent specification should not be forgotten, that is the claims are supposed to generalize particular embodiments effectively disclosed in the patent specification. To which extent this specificity plays a role in the interpretation depends on the case. In this respect, some aspects such as the purpose of the invention and the number of examples are especially relevant. But it remains that the terms chosen in the claims are supposed to have been selected to serve this objective of generalization of particular embodiments. 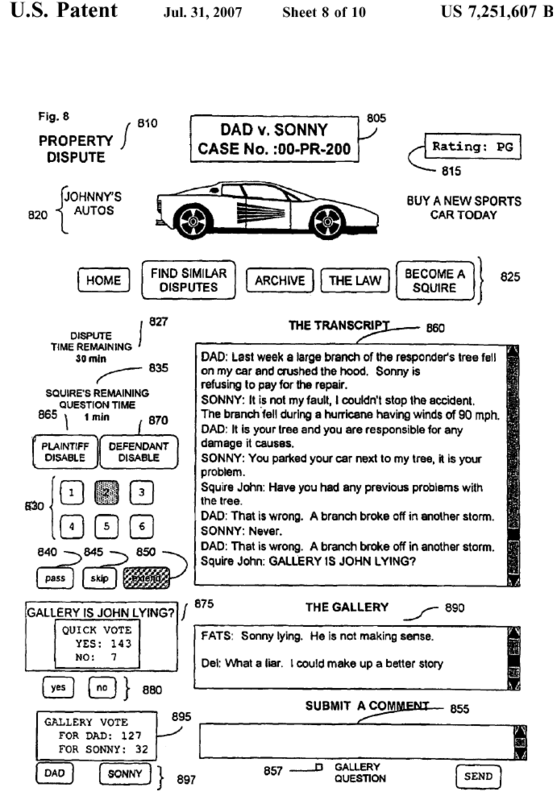 As a consequence, when the patentee omits, voluntarily or not, to define some concepts, or accepts that certain ambiguities remain in the patent description related to the request at stake, they cannot validly hide behind a limitative interpretation of the terms of the claim, at least insofar as the general interpretation which is retained makes sense on the technical standpoint and is consistent with the general teaching of the patent (reasons, 3.4). Oftentimes in opposition proceedings, a patent proprietor would like a narrow interpretation of the claims to be used – in order to resist novelty and inventive step challenges. One important consideration may however play against this defense: by nature and by function, claims are supposed to be more general than the embodiments disclosed in the description. Therefore, the fact that the description offers a narrow illustration of the claims may not by itself validly support the narrow interpretation of the claims. Or, to put it otherwise, the scope of the claims cannot be assumed to be limited by the “scope” of the description. These principles were applied by the Board to the case at hand a number of times. characterized in that the generation of the transposed spectral signal includes a whitening stage of the said spectral content such that the spectrum of the signal to the transposed spectrum is a whitened version of the said spectral content. A device with spectral bands. Novelty of this claim over a prior art document D1 was discussed. The two patent proprietors argued that the document did not disclose a process wherein the second spectral band is “not included” in the spectrum. Remarkably, the Board rejected both the interpretation of the term “included” offered by the patent proprietors and the one offered by one of the opponents. The opponent had put forward a mathematical definition of the term. But the Board held that this “turns out to be too theoretical and does not take into account the content of the specification of the patent, where nothing suggests that these usual terms should be given a particular mathematical meaning” (reasons, 5.3.1). The passages of the patent relating to these embodiments are very general and do absolutely not suggest that the disclosed solutions are the only ones which can be contemplated. Therefore, in the absence of indications in the patent as to the meaning which the concept of inclusion should have, and taking into account the fact that claims are meant to generalize the teaching of the disclosed embodiments, the Board considers that the expression “not included” should be given a general meaning. The formulation used can thus not be interpreted as excluding the partial superposition of spectra of the initial and transposed signals (reasons 5.3.1). A second point of interpretation concerned the concept of “whitening“, which had to be compared with the notion of sub-band energy equalization in the prior art. The patent proprietors submitted that “whitening” the signal meant making the peaks of the spectral envelope more uniform, which was different from sub-band energy equalization. Even though the other parties did not directly criticize this definition of whitening, the Board was not fully satisfied, because the definition “is not devoid of ambiguity” (reasons, 5.3.2). Then followed a detailed technical discussion showing that since the notion of spectral envelope is not clearly defined, there are many different ways to whiten the signal according to this broad definition. One of the opponents had filed an example showing that a sub-band energy equalization was tantamount to one possible form of whitening, and the Board was convinced by the demonstration. One important last argument was discussed in this respect. Claim 1 called for one step of transposition and one step of transformation, the whitening being part of the transposition step, and being therefore before the transformation step. But in the prior art document, the whitening discussed above took place at the same time as the transformation. So, on the face of it, there was a difference between the process of claim 1 and that of the prior art. When the granted patent is taken into account, this however leads to a generalization of the claimed process beyond its literal interpretation. Indeed, paragraph  of the patent mentions the possibility of whitening and filtering in one operation by a transfer function filter equal to the product of the respective transfer functions of the whitening filter and of the transformation filter. It is unfortunate that the version of the description was not adapted to the version of the claims considered patentable by the Examining division and results in what is above all a problem of clarity of the claimed process. The version of the patent is however the entire responsibility of the appellant. Although no clarity objection […] can be raised against the granted version of the patent […], the patent proprietors must nevertheless accept that any contradiction, ambiguity or imprecision may be used by the opponents who can in particular rely on the extended scope of the claims made possible by such circumstances. In the present case, the argument that D1 reproduces the process of claim 1, as interpreted in the light of the description, is thus justified. On the one hand, the fact that the description discloses specific embodiments cannot by itself justify a narrow interpretation of the claims, since the function of the claims is such that they are supposed to be broader than these embodiments. On the other hand, if the invention appears to be somewhat broader than the claims literally imply, based on the description (for instance because the description was not properly adapted to amended claims), then the claims may need to be reinterpreted in a broader manner. Readers interested in the outcome of the case will have to wait a few more years, since the Board remitted the case to the first instance for further prosecution on the basis of an auxiliary request, after admitting new relevant documents into the proceedings. As a final remark, there has been a long-standing tradition for French courts to rely a lot of the description and drawings to come up with their own understanding of what the invention really is about – irrespective of the exact wording used in the claims. Does the French nationality of the patent proprietors explain why such a large part of the legal discussion in this case revolved around claim interpretation in view of the description? Possibly, but it seems that the description did little to help them in Munich after all. CASE REFERENCE: Board of Appeal 3.4.01, T 1871/09, Orange et al. v. Stefanie Kremer et al., November 24, 2015.